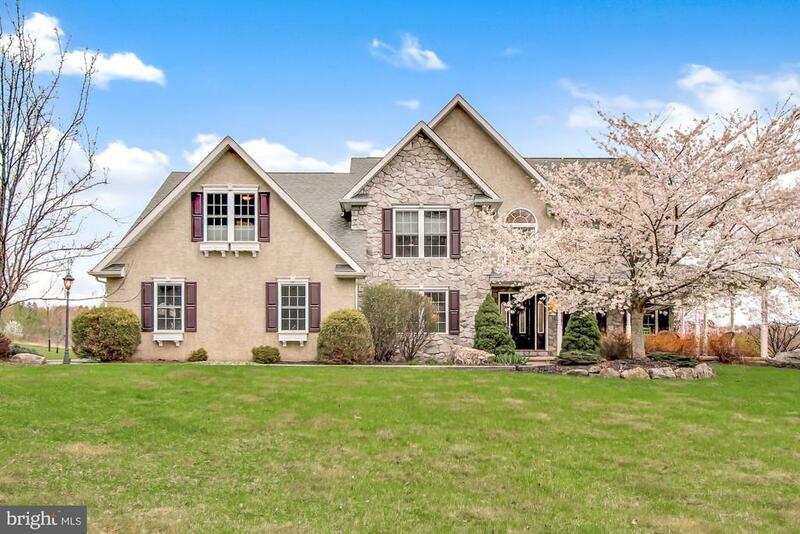 All Kutztown - PA homes currently listed for sale in Kutztown - PA as of 04/26/2019 are shown below. You can change the search criteria at any time by pressing the 'Change Search' button below. 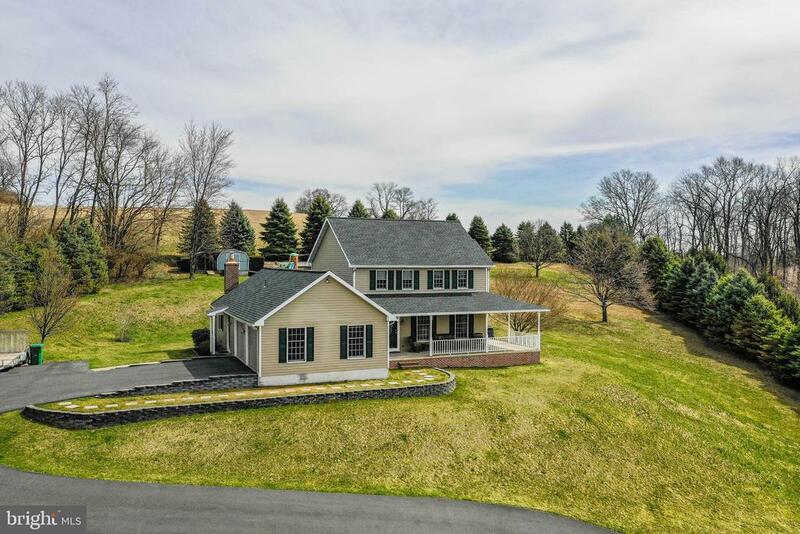 If you have any questions or you would like more information about any Kutztown - PA homes for sale or other Kutztown - PA real estate, please contact us and one of our knowledgeable Kutztown - PA REALTORS® would be pleased to assist you. 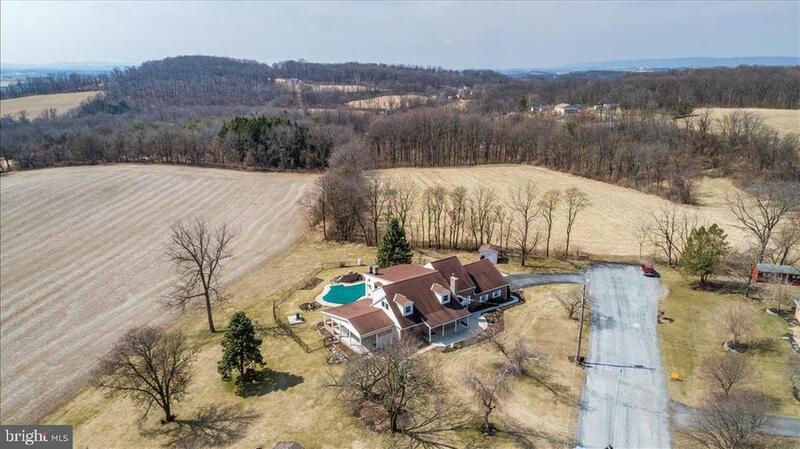 "Great farm in the Kutztown School District with 130 acres tillable. Stone farm house and bank barn and other out buildings." 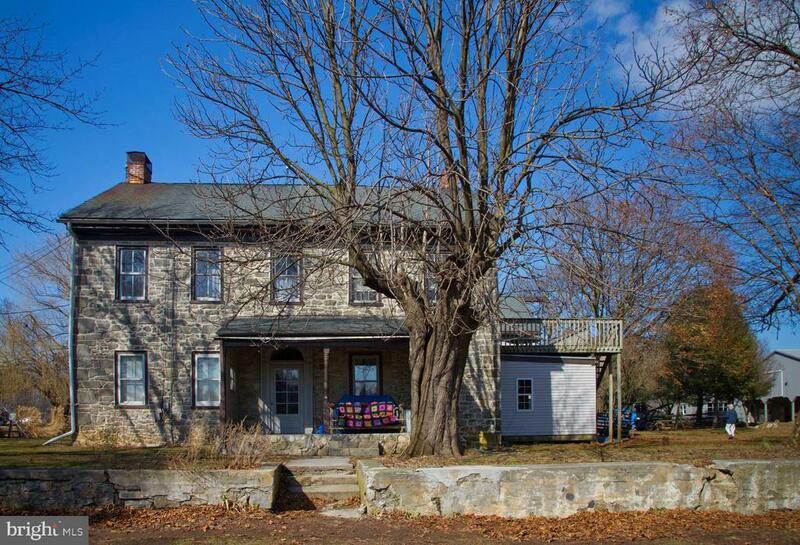 "Inviting retreat in the Kutztown, Pennsylvania area in Berks County. Centrally located to NYC, Philadelphia and Harrisburg. This all brick 8 bedroom, 10 bath, 6 fireplace home sets on top of a hillside that overlooks the valley below and the distant mountains. It is truly a million dollar view. Over 10,000 square feet of living space with a creative designed floor plan that produces the most comfortable easy flow. 75% of the home is 5 years old. The grand main entrance is highlighted by a gracefully curved wooden staircase and vaulted ceiling. The formal dining room offers spacious seating for 18 people. The expansive chef kitchen provides all the work space desired and the windows pull in all the sunrises and amazing views. The living room offers a cozy environment by the fireplace for the cocktails and hors d'oeuvres. The sun room and piano room pop with cathedral ceilings accented with skylights and multiple sets of sliders to allow the outside in, whenever desired. The multi-layered deck and outdoor kitchen is adjacent to the sunroom to simplify those outdoor events. The library is an anchor room of the retreat; relax by the fire and pick up a new read or just listen to some classical music. The main level passageway connects the library to the master bedroom which includes a fireplace, 2 walk-in closets, an en-suite with double bowl vanity, walk in shower and jacuzzi tub. At the end of the lower level passageway, you'll find the guest house which is an upscale 2 bedroom, 2 full bath, granite top kitchen, with private entrance and decks overlooking the view, and is complete with own laundry. Ready for some serious spontaneity and great entertainment space your guests will love? Lets go to the 2nd level Casino Room, which is 35' x 35'. This room has it all wrapped up in one! First, let's get a drink at the massive granite topped bar which is large enough to accommodate a fully stocked bar (and then some), complete with wine cooler, dish washer, refrigera"
"Horse lovers must see! 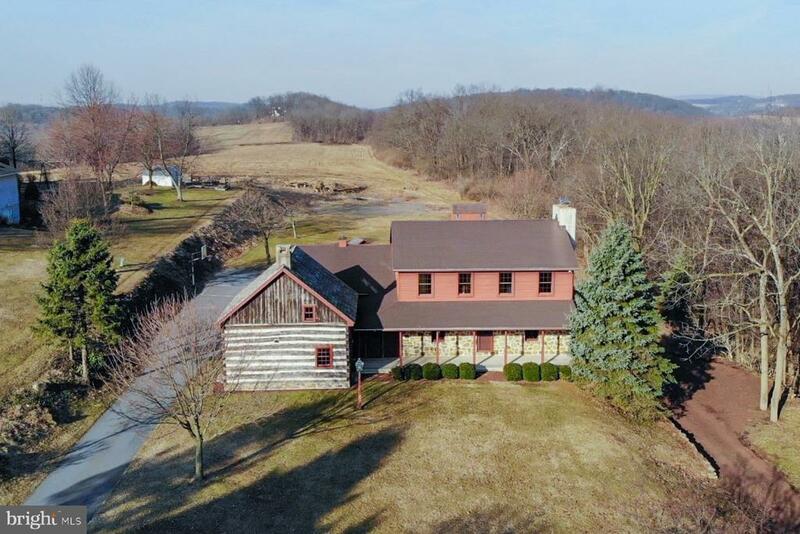 1850 Stone home complete with wide plank floors, exposed beams and interior stone walls. Kitchen great for large gatherings has center island, brick floors and cherry cabinets. Also an addition with a library/den and a loft bedroom suite above. 25 + Acres of land with fenced pastures, horse stalls and tack rooms. The owner used to have horse camps. Barns measure: 71' x 55', 65' x 22', 33' x 19', 22' x 16'. Tack rooms: 12' x 12' and 25' x 31'." "Driving down the stone road to get to your driveway says it all. This house has all the modern amenities and is located on 8.5+ acres. 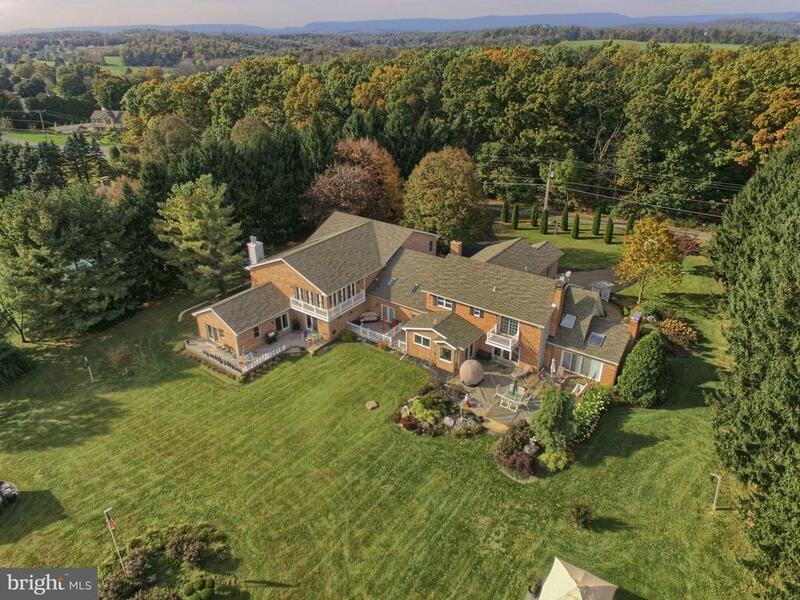 This is an amazing location centrally located between Reading and Allentown. As you enter the front door you walk into the 2 story living room with hdwd. floors, gas fireplace and skylights. The kitchen is 2nd to none. Granite and Corian, upgraded cabinets, double oven, open concept feeling that flows into the dining room and family room. What a great home to have friends and family over for dinner. 1st floor main bedroom with his and her closets, tub/shower combo, double sink, sliding doors leading to outside patio. The wood and iron staircase taking you upstairs leads to your princess suit with it's own bath and 2 additional bedrooms with a common bath and a nice catwalk. The finished basement has a game/rec room, half bath, living room or 5th bedroom with fireplace. The basement could easily function as an in law suite. Outdoors is peaceful and quiet with an abundance of nature. You need see this property and house. What a great place to call home." "Everything you want abounds in this immaculate, spacious, custom-built home! The grand 2-story foyer entrance leads you into the main floor of this home, where you will find glass french doors that open into a bright 1st floor office, an appealing powder room, an impressive formal living room, and formal dining room, and a completely updated kitchen with beautiful granite counter tops, custom cabinetry, a tiled backsplash, extended breakfast bar, stainless steel appliances, hardwood floors, and an open concept that ties seamlessly into the 2-story family room with a vaulted ceiling, recessed lights, stone wood-burning fireplace with mantle, built-ins, plush carpeting, and a huge bay window to let the sunshine in! A second staircase in the family room will take you upstairs to three nicely-sized bedrooms, a hallway bath, a convenient upstairs laundry, and a huge master bedroom suite - complete with a separate sitting area, walk-in closet, and full bath with double sink counter-height vanity, glass shower, and separate luxurious soaking tub. Outside you will find mature landscaping, including a pretty flowering dogwood, a concrete paver patio with an architecturally pleasing half wall and accent lighting, and lots of yard space with 1.25 acres - making it the perfect place to enjoy the incredible view! And did I mention the attached oversized 2-car garage with upgraded architectural doors? Or the wrap around front porch? Call today for your private showing and make this house yours! Sellers are including a one-year HMS home warranty for the buyer's peace of mind." "$10,000.00 Buyers credit for closing cost if sold by May 15, 2019. Builders Sample Home. Incredible opportunity to own a home loaded with extras at a drastically discounted price. Immediate occupancy. 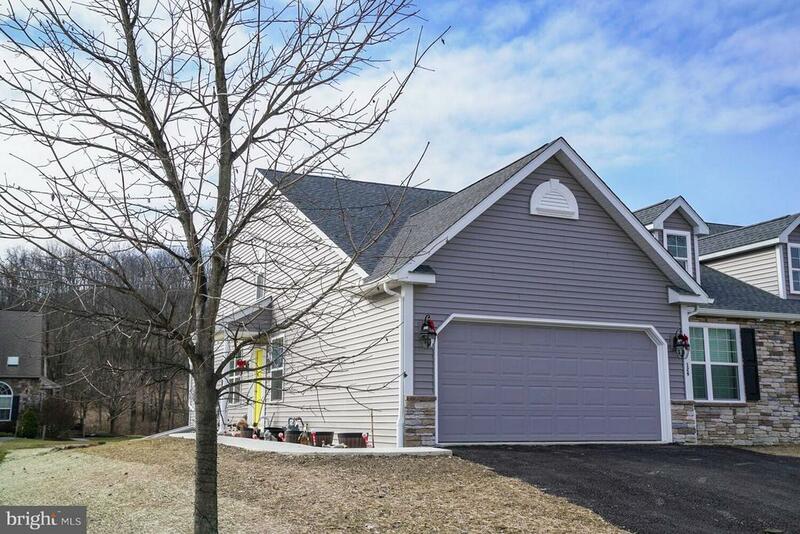 This 4/5 BR offers a premium Cul-de-sac location in Hunt Meadows Estates a 27 home community. Features include open concept throughout the entire 1st floor, fireplace, custom kitchen, eat at island, GE Profile appliances and ducted hood in black stainless. Zoned (2) HVAC, oak stairs, Master bedroom with tray ceiling & 2 walk in closets. Master bath with luxurious tiled walk in shower, double bowl vanity with BN fixtures & linen closet. 2nd floor laundry room, 4 other bedrooms or flex spaces. The full front porch and rear patio offer panoramic views to enjoy morning coffee! The home also features a walk out basement with 9' walls and rough in for future bath. Rural setting, 1 mile to I-78 new Smithville exit, easy access to turnpike, hospitals, shopping." "Welcome home to the top of the world! Beautiful countryside views will make every day a little brighter for you and your loved ones. Watch the afternoons turn into evenings from your covered front porch where the view stretches for miles. Step inside to enjoy all the comforts of home. A floor plan with the family in mind, flows from the kitchen through the breakfast area to the family room accented by the fireplace where stories will be told, and memories made. From the family room, step out to the backyard patio to watch everyone at play in your big yard and flip the burgers on the grill. If you are planning something more formal, the dining and living room has space for all, including great views too. For your convenience, first floor laundry is great. All appliances included keeps your moving budget in line. If you want to hang out inside or need a craft space or studio, then check out the finished basement with full bathroom too. When it~s time to unwind, the upstairs has room for all with ample bedroom and bathroom space. 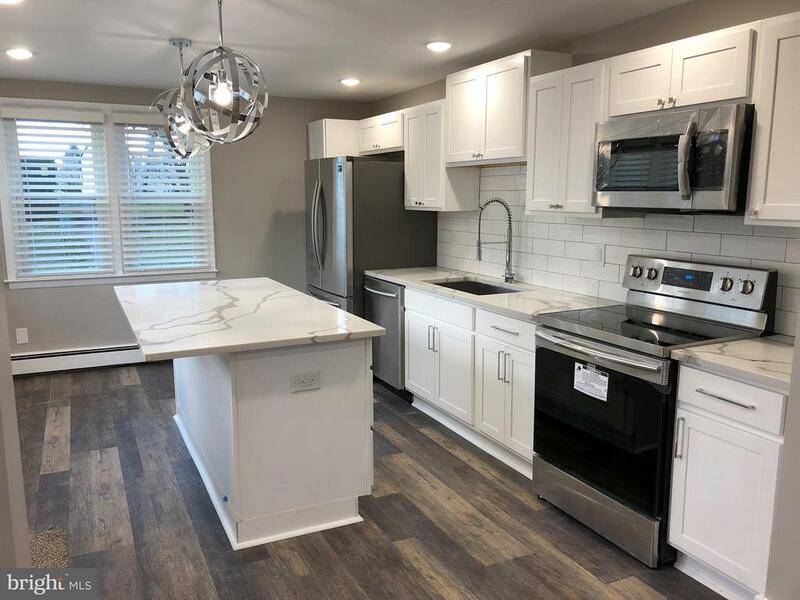 Move-in ready home has had many updates over the years including most recently, adding a new roof, siding, gutters, down spouts, and carpeting in dining and family rooms, kitchen floor, and new entry doors along with new hot water heater. Great location has easy access to major roadways and charming small towns nearby. A great place you will be proud to call home!" 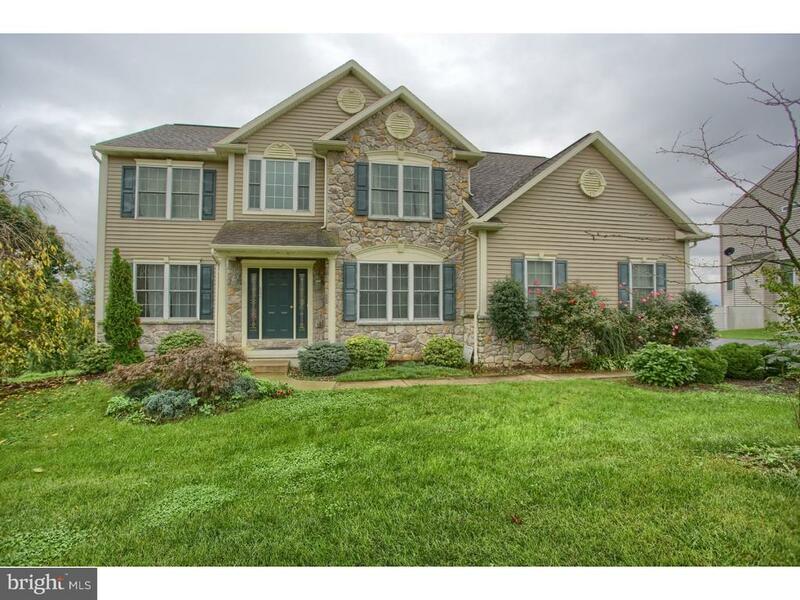 "Enjoy the fantastic views from the deck of this 4-5 bedroom home located in the beautiful development of Hilltop Estates in Kutztown. Features include convenient first floor laundry w/wash sink, Jacuzzi tub in Master Bath. Vaulted ceiling in master bedroom and large walk in closet. Interior upgrades include recessed lighting, gas fireplace, granite kitchen countertops, island with overhang, tile, hardwood and carpet flooring, archways on 1st floor with bull nose corners, dining room with tray ceiling, crown molding and chair rail. Family room with cathedral ceilings and sky lights. Walk out daylight basement. This is only a brief description of the upgraded package." 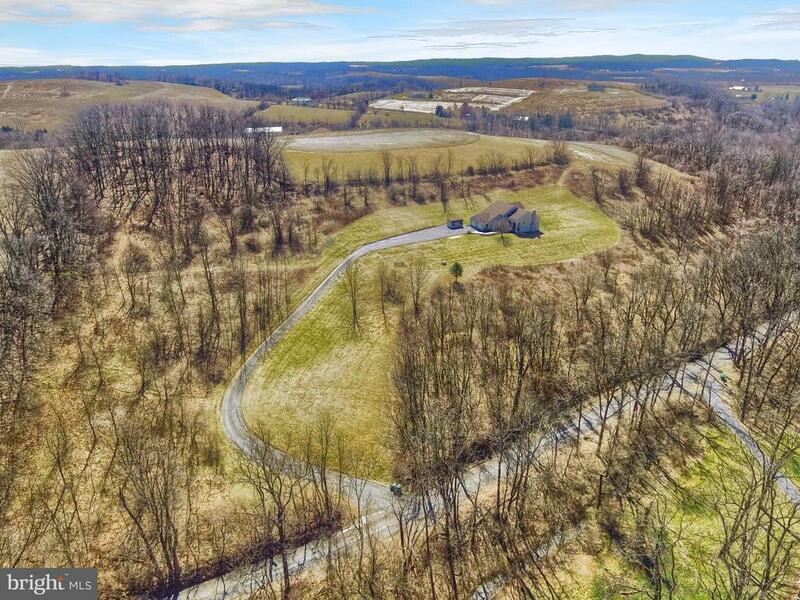 "Custom ranch home being built in Hilltop Estates in Kutztown. House will sit towards the rear of the lot. Nice private location. Kitchen with eating bar next to the formal dining room. Kitchen is open to the family room with vaulted ceiling and gas fireplace. Master bedroom with vaulted ceiling, large walk in closet and master bath. Bedroom 2 and 3 are of nice size and share a common bath. Laundry/mud room is located at the time you enter the house thru the 2 car front load garage. Out back is a covered patio to sit ad enjoy the outdoors no matter what the weather is. All this and centrally located between Reading and Allentown." "Are you searching for peace and quiet, yet easy access to major highways? Look no further! This 3,500 square foot Cape Cod style home and its grounds have just that! And this is not Grandmom's cape cod style home! It goes on and on and on! Don't want cookie cutter? This is it! Highlights include quiet end of road property location, 2-car garage, 5 bedrooms, large kitchen, family room and living room with fireplace, lots of hardwoods, lower level brick bar for parties, enormous outdoor living space for your enjoyment includes a deck, patio, balcony, covered porch, and an in-ground pool overlooking the serene countryside of this Richmond Township/Fleetwood Schools home. Added Bonus: the size and layout of this home allow for separate living quarters AND/OR in-house business possibilities (buyers to check with the township on specific needs). Great commuter location with easy access to 222, 78, 61, 100. 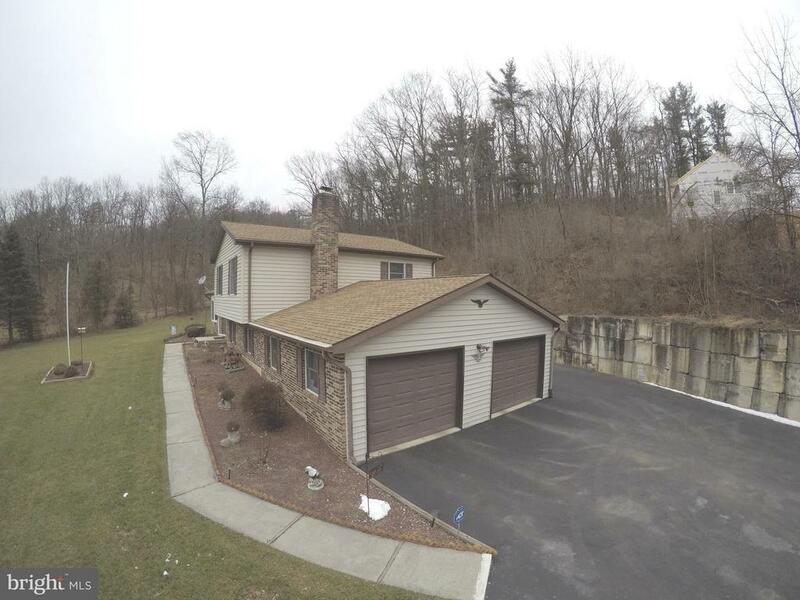 This home's 360 views alone are worth scheduling your showing, come see it for yourself!" "Welcome home to well maintained split level home, tucked away in a country tree lined setting. Nice sized living room with views of woods and front lawn. Three season room, with walk out to hot tub. Full whole home generator hook up." "Hot on the market! Why wait on builders~ timeframes to close on a home? 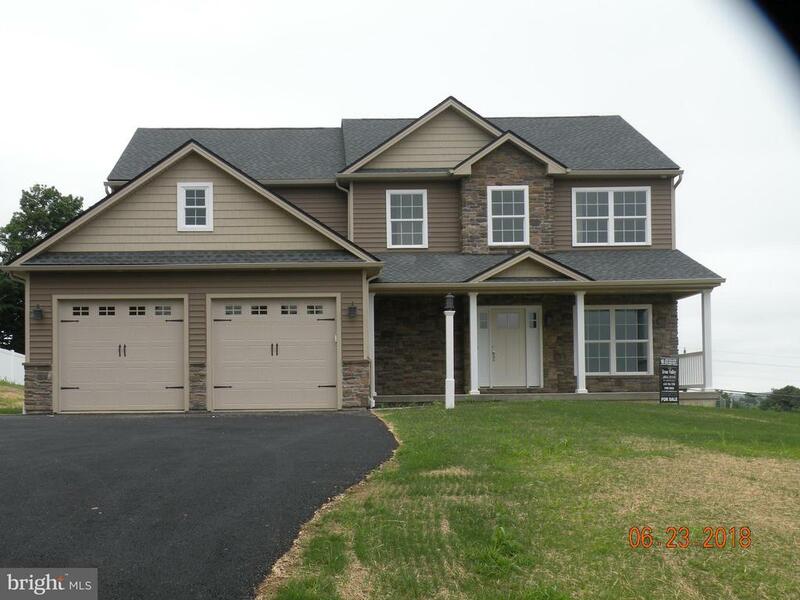 This beautiful 3-bedroom,3 bath twin home is move-in ready! One of the great thing of this beautiful home is a bright and sunny front door with stained glass accents to warmly greet your guest. Modern living with a desirable, open-space layout including a tray ceiling, rounded corners, and arched walls. Kitchen boasts beautiful brand-new black stainless Whirlpool appliances including stove, microwave, dishwasher, and refrigerator. Sophisticated maple cabinets with granite countertops and must-have island complete the look.The master bedroom has a great feel of privacy set apart from the other bedrooms so can enjoy some piece and quiet and relax in your private suite. A jacuzzi tub in the spacious bathroom is also a fabulous way to unwind at the end of a long day.The second floor has a private bedroom with full bathroom. Use as a guest room, private space, or combining family. Full basement has a Bilco door for easy access and storage. Laundry is located on the first floor. Rare find! Home is ADA compliant and offers tall toilets, wider door openings as well as easy access to entryway. Located in a rural setting yet close to town. Schedule your appointment today. This home won't stay long on the market." "Looking for a move in ready home with instant equity? Look no further, this home has been appraised for $165,000!Remodeled from its new wires and windows, this 3-bedroom, 1 bathroom open-concept home is nestled in the Kutztown Borough and conveniently located within walking distance of downtown.Brand new kitchen cabinets, new stainless-steel appliances, white and gray swirled quartz countertops and high-end chrome fixtures make this beautiful and timeless kitchen. The kitchen flows directly into the desirable open-concept living room, perfect for entertaining or watching the kids play as you prepare dinner. The property features a two-car driveway, storage shed and plenty of room in the backyard for a fire pit and backyard BBQ.Schedule your showing today!" 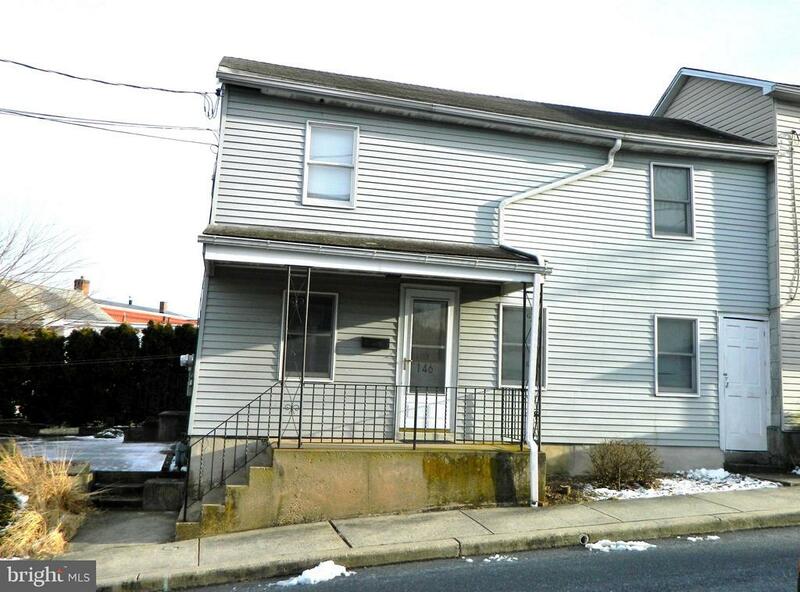 "What a wonderful starter home in Kutztown. Just steps from Main st to all the locally owned shops and restaurants. 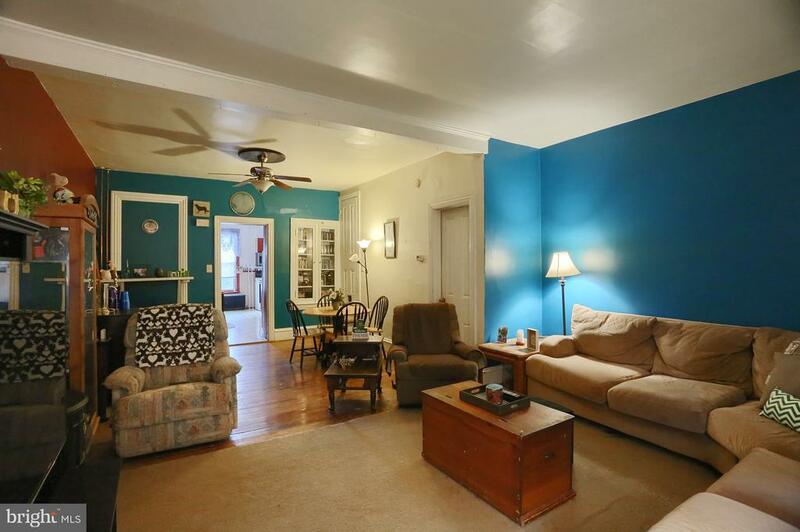 This house offers a large kitchen with island, 1/2 bath, spacious dining and living rooms. Upstairs is a full bath with 3 bedrooms. The attic is a nice area for storage. Rear yard with a 2 car detached garage with a loft for more storage." "This is an excellent opportunity to own your own home at last in the cost of renting. The house has received recent upgrades, such as siding and furnace, updated electrical and roof. 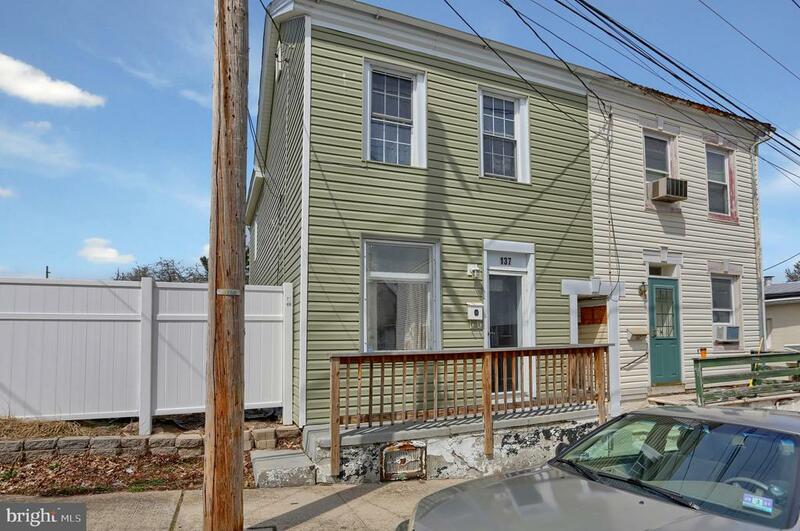 This cozy home features two bedrooms and one bath with offstreet parking." "Why pay rent when you can own this cozy and efficient home for less than rent. Well maintained by the present owner. The house consist of living room ,kitchen ,main floor laundry with full bath. Second floor is a large L-shaped bedroom with its own full bath and walk-in closet. Nice size yard with a brick patio for entertaining." 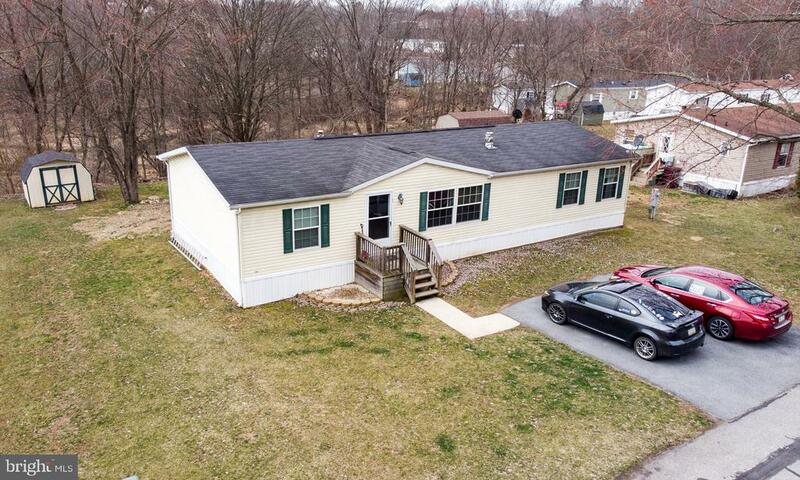 "This impeccably well maintained manufactured home is located in the rolling hills of the Kutztown School District. 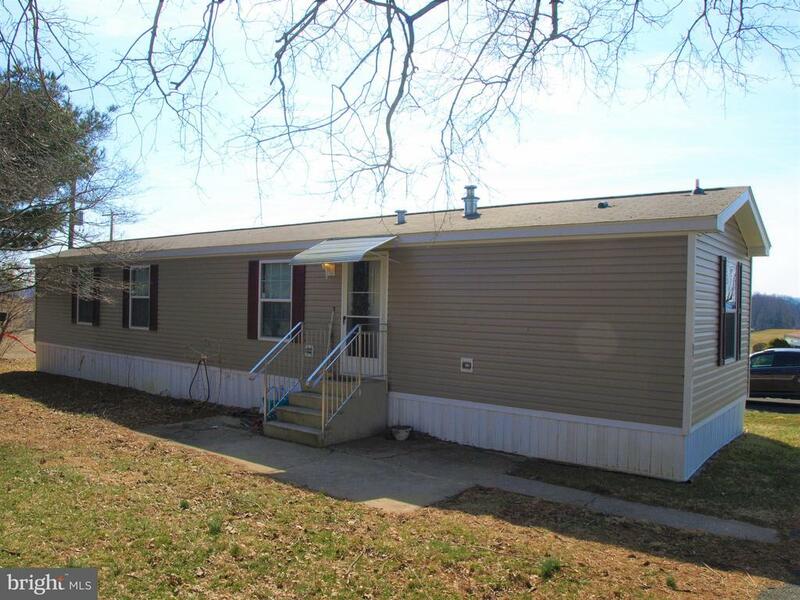 This home has a spacious open floor plan, fully renovated kitchen with skylights& large pantry, upgraded tilt in windows for easy cleaning located throughout the home, propane fireplace, soaking tub, walk-in closet, expanded deck with large screened in area, and much much more. All this on one of the largest lots in Highland Estates. Community features a community center, gym, and outdoor pool with two playground for the kids.The monthly lot rent is $620 and includes snow removal, water, sewer, trash pick up and community features. Beautiful views of the hillside can't be missed. Close to Old Rt. 22 and Rt.78." "2017 Colony Beacon 60~ x 14~ manufactured home with a well thought out floor plan offering 2 spacious bedrooms and 2 full bathrooms. 2 Car Off street driveway. Central A/C and Energy Star Package home. Upgraded flooring, appliances & stall shower. Enter into a spacious living room with upgraded wood textured vinyl flooring and an open floor plan. The home flows easily into the kitchen and breakfast nook. Kitchen boasts breakfast bar seating area, double sink, dishwasher, gas cooking, built in microwave and included refrigerator and autumn oak cabinetry. Laundry Room off the kitchen, washer & dryer included in the sale. Master bedroom suite- spacious bedroom w/ full private bathroom w/ stall shower. 2nd bedroom on the opposite side of the home and a 2nd full hall bathroom. LOW lot rent only $380 per month! Lot fee includes Water, Sewer, Trash & Road Maintenance. Washer, Dryer, Refrigerator and Central A/C all included! Upgraded 40 gallon water heater. 1 small dog 15 lbs or less is permitted. Move in Ready!"